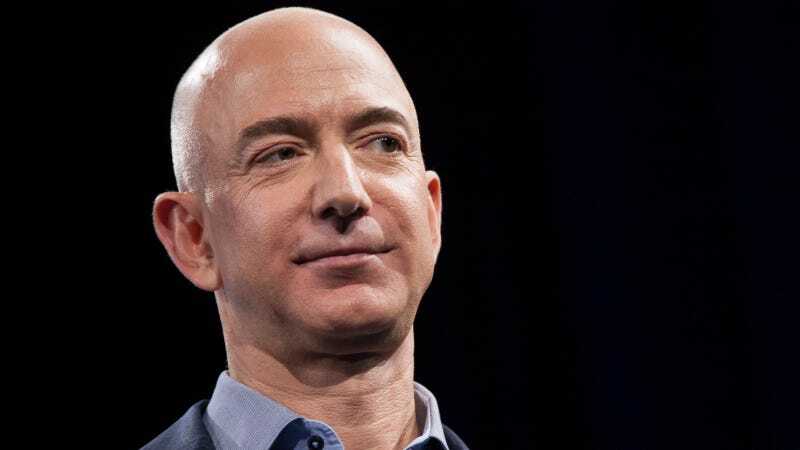 On Monday, a group of Amazon employees began circulating an open letter that calls on CEO Jeff Bezos and the board of directors to adopt a companywide plan to address climate change. By Wednesday, over 3,500 Amazoners had signed on. By Friday, that number had surpassed 6,000—meaning a number equivalent to about 1/10th of the company’s entire corporate workforce had publicly added their names. And those names are still rolling in. One of the latest names belongs to Tim Bray, a VP and Distinguished Engineer who, per his LinkedIn profile, is “an AWS geek at Amazon.com.” Which means that the movement is officially gathering support at the highest levels of the company. “We’re seeing such overwhelming, broad support from employees signing our open letter, with representation from our most junior employees up to the VP level,” said Elizabeth Whitmire, a senior tech editor at AWS. The letter demands that Amazon “adopt the climate plan shareholder resolution and release a company-wide climate plan.” That resolution was put forward by employees—many of whom were involved in organizing the open letter effort—late last year. It’s part of a growing trend towards worker advocacy in the tech industry, coming on the heels of the Google Walkout for Change and the We Won’t Build It effort, also at Amazon. By comparison, that effort, which last June protested Amazon’s contracts to build facial recognition software for the U.S. government, drew hundreds of signees. Nearly a year later, the next open letter protesting company policy has drawn thousands. All this amidst an industry—and a company—renowned for secrecy, and known to be punitive against those who break it. There is a boldness growing in these actions that would have been unusual for the secretive, sealed-off industry, even a couple of years ago. Amazon’s board has recommended that shareholders vote “against” the climate resolution, a move that may serve to inspire further action among employees. Employees I’ve spoken with say that while they are encouraged by developments like Shipment Zero—Amazon’s new effort to reduce carbon emissions in its shipping program—such programs need concrete timelines and clarifications about how exactly those emissions reductions will be achieved. The story has been picked up everywhere from CBS to the New York Times to Wired, and demonstrates in no uncertain terms the power of worker action in the tech industry—and perhaps, even, a new era for a sector long given over to superman founder mythologies and cults of personality. Amazon’s press team declined to comment on the record.